We have knocked on over 25,000 doors to provide factual information about Memphis schools. Our Speaker Series brings leaders into our community to teach and inspire. Book Club brings parents together to discuss important issues. Gladiator Training teaches parents, grandparents and concerned members of the community to rally where our voices need to be heard. Memphis Lift Mondays open the door for the community to come see what we’re all about. 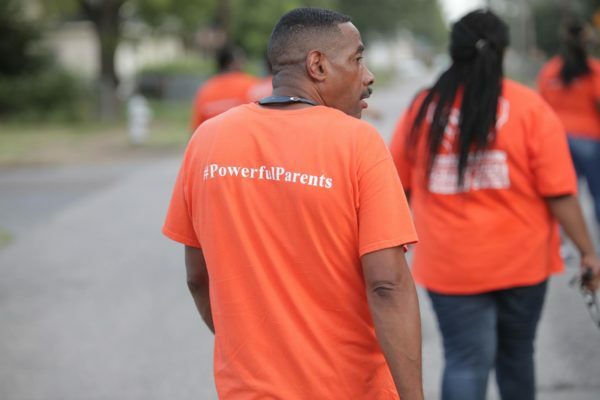 The Surge Team chant is “fired up, ready to go.” Our “boots-on-the-ground” organizers go out into the community to inform parents and grandparents about the low performance of the schools their children are attending. We don’t just talk. We listen to parents to learn about their problems and concerns and then take that information back to find ways to improve our community and our schools. We identify, educate and mobilize parents and grandparents to fight the education inequalities and injustices that have plagued our city for decades. We are demanding changes now. Starting with just 19 parents and grandparents in 2015, we’ve grown to over 1,000 passionate and empowered activists ready to “break barriers” at school board, county commissioner and community meetings. Policy makers, educators and community leaders need to understand that The Memphis Lift is a movement that is not going away until ALL children are getting the quality education they deserve. Our voices are powerful, our voices matter.